A 3-meter long mural found at the Neolithic site of Çatalhöyük has long been taken to be a map of the Neolithic town (Steward 1980; Delano Smith 1982; Delano Smith 1987, 73–74; Casey 2002, 132, 225–26). This identification was convincingly challenged by Stephanie Meece (2006). Meece’s arguments have however been summarily dismissed by several academic and lay commentators. What intrigues me is how the discounting of Meece’s arguments reveals certain modern preconceptions about the nature of cartography. Çatalhöyük (or Çatal Hüyük) is located at 37º40′N 32º50′E, in the plains of central Anatolia near Konya, Turkey. The tell was first subjected to an exploratory excavation by the British archaeologist James Mellaart in 1958; he returned for several intensive field seasons in the early 1960s. The excavations were ended by a scandal, when Mellaart was accused of selling pilfered antiquities. Ian Hodder restarted archaeological investigations at the site in 1991, and they have continued into the present. Hodder’s teams have substantially changed Mellaart’s interpretations, from complicating and redating the site’s settlement levels to overturning Mellaart’s arguments that the city was a major trade hub and a site of goddess worship. The conflicting interpretations have some significance for what follows, but I am not really concerned with the site per se, rather with what discussions of the one mural reveal about intellectual presumptions about the nature of maps and mapping. The town comprises some eighteen levels that Mellaart dated from 7500 BCE to 5600 BCE. Each level comprised a series of mudbrick buildings, mostly apparently homes, that lacked windows and door. Each building was built against its neighbors; there were had no paths or alleys between the buildings. The townspeople walked across the roofs, made from wood covered in plaster, the access holes or hatches providing the only ventilation. The archaeologists estimated that the town’s population was at most 10,000 people and more likely to be 5–7,000 people at any given time. The interior walls of the buildings were routinely whitewashed and replastered; it is unclear precisely how frequently the walls were refreshed. In between refreshing the walls, the inhabitants decorated them with a series of murals and plaster reliefs (of auroch heads and leopards). The murals featured hunting scenes, abstract geometrical patterns, and other shapes, some of which have been described as leopard skins (an identification based on the common reliefs of leopards). Mellaart’s team found the supposedly cartographic mural in the 1963 field season, in room 14 on Level VII, which Mellaart dated to about 6000 BCE. The mural has two components in two registers: a long pattern of some eighty squares in the lower register and an irregular figure in the upper. Mellaart’s interpretations are not generally available, so I quote them in full, here. He made an initial, public announcement of the findings of the 1963 season in the Illustrated London News. The larger shrine to the east, VII.14, produced one of the most extraordinary wall-paintings found at Chatal Huyuk [image 1, above]. Nine feet in length it covers both walls above the main platform which was covered red with fine reed matting. The subject represented is extremely hard to interpret and we are fully aware that our interpretation may not be the right one. However, any interpretation will have to take into account one important point: the wall-paintings at Chatal Huyuk were not mere decoration or doodling, they served a definite and religious purpose, after which they were covered up. As our architect was quick to perceive, the 80 or more squares strung out along the bottom in rows or terraces vividly reminds one of the plan of a town, and one has only to compare the plan [image 2, above], its internal divisions into platforms, benches, etc. to see that this is indeed a possibility. On the other hand, we know that at Chatal Huyuk there were no streets or passages, but houses were built up against each other like the cells of a honey-comb. Nevertheless, we believe that this is a representation of a town, almost certainly Chatal Huyuk itself, rising in terraces, as we know it does, but portrayed in the way children will draw. If we concede this point, then the strange object in the back which looks at first sight like a leopard’s skin, becomes more intelligible, for wherever one looks from the top of the mound, twin-peaked mountains surround the plain. There are the twin cones over Konya, the twin peaks of the Karadag and in the far distance the twin peaks of Hasan Dag, the volcano above the town of Aksaray. At first sight the object by itself may be interpreted as a leopard skin, with the extremities cut off, and blood spurting from it. But this hardly explains the streaks and dots painted above the right hand “peak” or the dots to the right beyond the “skin” and why should anybody want to paint such a scene for religious reasons? If, on the other hand, we try to identify this object with the distant, twin-peaked volcano (visible from Chatal Huyuk) of Hasan Dag, and when we realise that it was from here or nearby that the Neolithic people obtained their obsidian, a volcanic glass which is the most prized and earliest commodity of trade, and perhaps the basis of Chatal Huyuk’s wealth, then it is not such a far cry to suggest that what was shown here was an eruption of Hasan Dag. Far from being a profane or unusual subject, a volcanic outburst of the obsidian mountain was a threat to Chatal Huyuk’s existence, a sign of anger (or perhaps the reverse if more obsidian were produced) of the goddess of nature, and as such a highly relevant subject for pictorial composition. The twin-peaked volcano Hasan Dağ (Mount Hasan; 38º8′N 34º10′E) is about 120 miles (190 km) from Çatalhöyük. It is just visible from the tell on clear days, just to the north of west. Finally, in his book on the site, Mellaart (1967, 176) simply stated that the mural shows the plan of the town with the profile of Hasan Dağ in eruption above. Meece (2006) noted the manner in which Mellaart’s interpretation of the mural grew ever more certain as he kept writing, although without adducing any new evidence in support. At first he admitted that the initial interpretation of the upper register was a leopard skin, one of many found at the site, and he implied that the team’s architect, Miss Pat Quin (Mellaart 1964b, 39), was perhaps incorrect in her “perception” given that the town lacked the alleys that the mural, if a map, depicted between the houses. Both caveats are missing from the archaeological report, which is further notable (to my mind) for the manner in which its initial hesitancies are allowed to drop away; for example, Mellaart transformed the terraces from a possibility within a possibility into an “exact” certainty. Finally, in his book, Mellaart “admitted no uncertainty, and made no attempt to persuade” (Meece 2006, 9). • the realism of the image of the volcano is justified by reference to Mellaart’s interpretations of the religious significance of an erupting volcano, especially one that is an economic resource to the townspeople. In addition to the increasingly unwarranted certainty with which Mellaart presented his interpretation, Stephanie Meece leveled several specific objections. Mellaart had strongly implied that the upper register is the profile of the volcano as seen from the tell. But, when viewed from Çatalhöyük, Hasan Dağ’s “higher peak is on the left and the smaller on the right”; Mellaart had fudged the issue by reproducing photographs of the volcano from a quite different perspective (Meece 2006, 6). Moreover, scholarship in the 1990s had also revealed that Çatalhöyük’s obsidian did not, in fact, come from Hasan Dağ (see Carter 2011). This finding rather guts Mellaart’s argument that the upper register must be a profile image of an erupting volcano that was so important to the town. Although informal mapping (the analogical expression or performance of spatial knowledge) may well be a human universal, it has been argued that formal mapmaking (the inscription of spatial knowledge) tends to arise as a discourse function only within highly organized, bureaucratic societies. The conditions necessary for formal mapmaking include “the demands of agriculture, private property, long-distance trade, militarism, tribute relations, and other attributes of redistributive economies.” (Gartner 1998: 257, quoting Wood 1993, 56; quoted by Meece 2006, 10). One might quibble with the forcefulness of Wood’s sentiments, but it is a fundamental point that the making of maps is a social endeavor that requires some kind of semiotic system shared by producers and consumers, and that means that map making is an ineluctably social phenomenon. Without large public works and living in a small “walking city” that even strangers can navigate easily by asking directions (verbal, incorporative mapping), why should the inhabitants of Çatalhöyük map their town? To his credit, Mellaart had not thought that the mural was a functional map. Rather, he argued that the mural must have been part of a religious ritual of some sort, and why should a ritual emphasize economic relations when there are so many elements to cosmographies that need to be represented. The question then arises, if the town must be represented, why should these Neolithic people have shown it in just the same manner as modern archaeologists? Any similarity of the mural’s lower register to modern archaeological plans is strictly coincidental. Peoples in multiple cultures symbolize their homes in various ways, through totems—perhaps the aurochs’ heads and leopards whose images proliferate at Çatalhöyük—and other abstractions that look nothing like modern maps and that require cultural informants to interpret them (Meece 2006, 10). If there was a reason to represent Çatalhöyük in some way, it would not have been through an image that looks like a modern archaeologists’ plan. Finally, Meece adopted the fundamental art historical practice of analyzing images by placing them into their proper discursive context. Rather than treating the mural as a unique and exceptional work, to be compared with images made 8,000 years later, we need to consider it in the context of images made by the same culture at the same time. As noted, Çatalhöyük is full of imagery. It is far more logical to treat this mural as a combination of geometrical patterns and a leopard skin, as are common to the rest of the site, than to impute unique acts of map making and landscape art to this Neolithic people. It makes much more sense to set modern cartographic fixations aside and follow good historical practice by considering the image in terms of the style of the other wall art found at the site (see Krygier 2008). Overall, Meece concluded, Mellaart should have stuck with his original interpretation of the upper register as a leopard skin, and he should have resisted Quin’s overly quick realization that the lower register is just like a modern plan so it must be one. I for one am persuaded by Meece. Since 2006, a number of authors have affirmed Mellaart’s interpretation. At least one made no reference to Meece’s work, probably because the Çatalhöyük mural was only tangential and because the published work is not updated significantly from the original, 2007 presentation (Rochberg 2012, 9–11). But others have cited Meece’s essay and have dismissed her arguments. They have done so because they remain committed to the conviction that maps are only direct products of the observation of landscape. but we know that this map—revealed on a 9000-year-old plaster wall—served a purpose greater than simply being a remarkably accurate depiction of the buildings around it, for many thousands of years having been buried and ruined. From his blithe acceptance that the mural presents a town plan, Dorling makes a series of assertions that are manifestly false yet which seem quite valid from the perspective of modern cartography. • If the lower register is a map, the map is not “remarkably accurate”: even Mellaart’s assistants were unable to match the mural’s squares to a particular portion of the site (Meece 2006, 9). Rather, the statement is one of visual impression, yet another instance when commentators have mistaken graphic precision for accuracy in both geometry and topographical content. • Again, if a map, then it is a map akin to the archaeologists’ plan that omits the roofs that that would have obscured the interiors of the buildings; thus, the mural cannot show what the town “might have looked like had anyone then been able to fly.” The presumption that the planimetric perspective is the natural consequence of the view from above is a crucial element in the ideal’s pictorial preconception. • By shifting from the mapping of the town to regional and perhaps world mapping, Dorling revealed the conviction that cartography is the making of maps of any part of the world at any scale, that the same processes govern the mapping of regions as the mapping of places and towns. For Clarke, map making is a natural and inevitable outgrowth of the development of a cognitive spatial schema (what is often misleadingly called a “mental map”). His imaginative examples all sound so reasonable—a hunter could make a map of the land across the river for another hunter—because they accord with the fundamental conviction that all map making stems from the individual map maker’s experience with and observation of the landscape. Only from this perspective can an argument that prehistoric peoples did not make maps become a statement that prehistoric peoples could not make maps. What Clarke missed in his quotation from Meece is that “abstract thinking” and “symbolic representation” are not the same thing. The one is cognitive, the other is social and cultural. The one is common to all cognitively developed adult humans, the other is a function of social needs and cultural conventions. What Meece argued is that social needs likely did not call for a town plan, and cultural conventions would have likely led to a quite different kind of representation than something that sort of looks like a modern archaeological plan. Barber’s real aim was to bolster her general arguments that myth can be long-lived. The fact that geologists had dated the last eruption of Hasan Dağ to about 7550 BCE, or some 1,500 years before the mural was painted on the wall, is thus evidence of the longevity of oral legends and not a flaw in the identification of the upper mural as a volcano. Most recently, geologists have refined the dating of some of the deposits at the summit of Hasan Dağ, laid when it last erupted, to 6960±640 BCE. This date range could just about encompass the period when Level VII at Çatelhöyük was occupied and the mural made (Schmitt et al. 2014). The possibility of chronological overlap is made all the more likely given that recent archaeological work has refined the dating of Level VII to 6430–6790 BCE (Cessford 2005). The possibility that, were the upper register actually Hasan Dağ in eruption, then the potential chronological overlap rather undercuts Barber's argument and obviates her need to insist that the lower register must be a map. It is perhaps worth, at this point, to restate a key piece of evidence from Meece's essay, that Hasan Dağ does not have the same profile as the upper register in the mural when seen from Çatelhöyük. However, the geologists who undertook the redating of the volcano's last eruption also took the essays by Clarke (2013) and Barber (2010) to support their conviction that the mural is indeed a realistic depiction of the town and the volcano. Their findings were accordingly received by lay commentators as proof that the entire mural is, indeed, realistic: the eruption was contemporary to the mural, the upper register is therefore the erupting volcano by an eye-witness (as Mellaart had originally asserted), so the lower register must be a map (Boyce 2014). • the only way in which spatial knowledge can be communicated is through specifically cartographic works. For an academic cartographer to insist in the face of archaeological doubt that the mural is indeed a map suggests a certain chutzpah: it is a declaration that a map is a map is a map, and that only students of cartography have the knowledge and experience to recognize one. Furthermore, the later assertions that the lower register of the mural can only be a map relies on the apparently reasonable conviction that the foundational act of mapping, to create the ur-map, occurred when some ancient individual converted their personal cognitive spatial schema into an external spatial schema of some sort. The problem is that map scholars have routinely construed this foundational act as producing a graphic image that is recognizably “a map,” such that they presume that the connection between a cognitive spatial schema internal to the individual (and certainly all of Clarke’s hypothetical instances of early map making featured one individual) and the external map made by the individual of that spatial schema is presumed to be direct and unmediated. The alternative position to this highly individualistic perspective is that the production, circulation, and consumption of maps are ineluctably social processes and they need to be studied as such. There are other socially defined representational strategies for communicating spatial knowledge, oral and gestural ones, that can be deployed. Historical sensitivity is also needed. When one appreciates the ways in which modern maps are made and used according to a wide variety of social and cultural factors, one must understand ancient mapping as having similarly been a function of multiple variables. Indeed, we can see that the conviction that map making is an individualistic endeavor is itself an idealization established over the last couple of centuries. To be generous, we could say that humans developed writing about 5000 BP, about the time of the cuniform tablets, and about the time of the first maps according to the cartographic texts. His other evidence comprises either hypotheticals grounded in a preconceived notion of mapping as individualistic and an essay interpreting petroglyphs from an ancient Spanish site, about 11,600 BC/13,600 BP old, as local maps (Utrilla et al. 2009). The quality of the interpretation of the last is beyond my ability to evaluate. In the end, Clarke’s argument amounts to: the inhabitants of Çatalhöyük could have made a map, so the mural is a map. Overall, it is not enough to say that any image is a map because of the manner in which it apparently replicates that portion of a world, in whatever way, unless it is evident that the image was also consumed as a map within a discourse whose parameters are understandable. Those who have focused on the Çatalhöyük image without contextualizing either register have confused cognition with semiosis. Finally, two further points about how Mellaart’s arguments drew on this excessively individualistic interpretation of map making. First, in his passing comment that the lower register of the mural was a map “portrayed in the way children will draw,” he seemed to reference the long-standing equivalency, fostered by Jean Piaget, of prehistoric and indigenous peoples with modern children (Blaut 1993, 99–101; see Wood 1993). Second, I am struck by Mellaart’s admission that the “perception” that the mural’s lower register was a map was accomplished by a woman, Pat Quin. This seems an instance of the long-standing and sexist conviction that the minds of modern women share in both modern rationality and unmodern irrationality, so that women are able to mediate between them. All told, the original interpretation of the mural as comprising a pair of realistic images and the subsequent insistence on the correctness of this interpretation reveal some basic beliefs and convictions about the nature of maps and cartography that are wrong. Barber, E. J. W. 2010. “Yet More Evidence from Çatalhöyük.” American Journal of Archaeology 114, no. 2: 343–45. Blaut, James M. 1993. The Colonizer’s Model of the World: Geographical Diffusionism and Eurocentric History. New York: Guilford Press. Boyce, Nell Greenfield. 2014. “There She Blew! Volcanic Evidence of the World’s First Map.” National Public Radio, 9 January 2014. http://www.npr.org/2014/01/09/260918293/. Carter, Tristan. 2011. “A True Gift of Mother Earth: The Use and Significance of Obsidian at Çatalhöyük.” Anatolian Studies 61: 1–19. Casey, Edward S. 2002. Representing Place: Landscape Painting and Maps. Minneapolis: University of Minnesota Press. Cessford, Craig. 2005. “Absolute dating at Çatalhöyük.” In Changing Materialities at Çatalhöyük: Reports from the 1995–99 Seasons, ed. Ian Hodder, 65–99. BIAA Monograph Series, 39/Çatalhöyük Research Project, 5. Cambridge: McDonald Institute for Archaeological Research for the British Institute at Ankara. Clarke, Keith C. 2013. “What is the World’s Oldest Map?” Cartographic Journal 50, no. 2: 136–43. Delano Smith, Catherine. 1982. “The Emergence of ‘Maps’ in European Rock Art: A Prehistoric Preoccupation with Place.” Imago Mundi 34: 9–25. ———. 1987. “Cartography in the Prehistoric Period in the Old World: Europe, the Middle East, and North Africa.” In Cartography in Prehistoric, Ancient, and Medieval Europe and the Mediterranean, edited by J. B. Harley and David Woodward, 54–101. Vol. 1 of The History of Cartography. Chicago: University of Chicago Press. Dorling, Daniel. 2013. “Cartography: Making Sense of Our Worlds.” Cartographic Journal 50, no. 2: 152–54. ———. 2017. “Can a Map Change the World?” In The Routledge Handbook of Mapping and Cartography, edited by Alexander J. Kent and Peter Vujakovic, 548–60. London: Routledge. Eveleth, Rose. 2014. 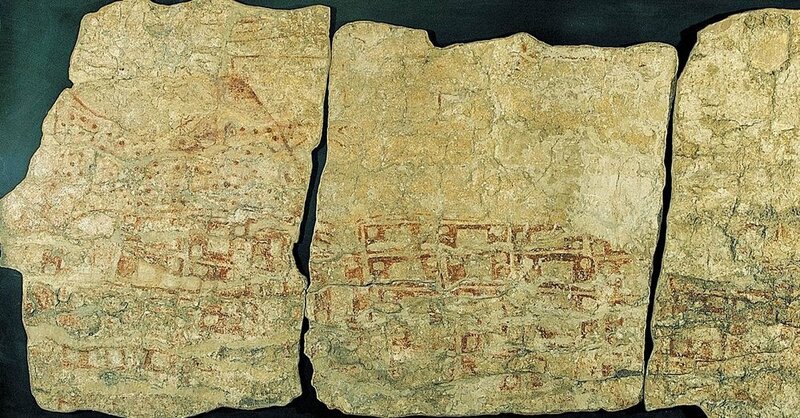 “This Stone Age Mural Might Be the Oldest Map Ever.” Smithsonian Magazine (13 Jan 2014). https://www.smithsonianmag.com/smart-news/these-stone-age-murals-might-be-oldest-maps-ever-180949321/. Gartner, William Gustav. 1998. “Mapmaking in the Central Andes.” In Cartography in the Traditional African, American, Arctic, Australian, and Pacific Societies, edited by David Woodward and G. Malcolm Lewis, 257–300. Vol. 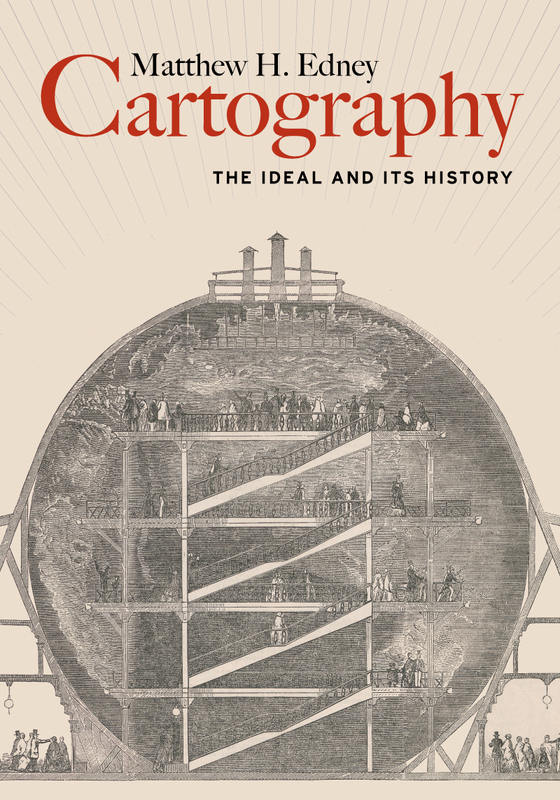 2.3 of The History of Cartography. Chicago: University of Chicago Press. Krygier, John B. 2008. “Cartocacoethes: Why the World’s Oldest Map Isn’t a Map.” Making Maps: DIY Cartography (13 Oct 2008). http://makingmaps.net/2008/10/13/cartocacoethes-why-the-worlds-oldest-map-isnt-a-map/. Meece, Stephanie. 2006. “A Bird’s Eye View–of a Leopard’s Spots: The Çatalhöyük ‘Map’ and the Development of Cartographic Representation in Prehistory.” Anatolian Studies 56: 1–16. Mellaart, James. 1964a. “Earliest of Neolithic Cities: Delving Deep into the Neolithic Religion of Anatolian Chatal Huyuk. Part II–Shrines of the Vultures and the Veiled Goddess.” Illustrated London News 244, no. 6497 (8 February 1964): 194–97. ———. 1964b. “Excavations at Çatal Hüyük, 1963: Third Preliminary Report.” Anatolian Studies 14: 39–119. ———. 1967. Çatal Hüyük: A Neolithic Town in Anatolia. New York: McGraw-Hill. Rochberg, Francesca. 2012. “The Expression of Terrestrial and Celestial Order in Ancient Mesopotamia.” In Ancient Perspectives: Maps and Their Place in Mesopotamia, Egypt, Greece, and Rome, edited by Richard J. A. Talbert, 9–46. Chicago: University of Chicago Press. Schmitt, Axel K., Martin Danišík, Erkan Aydar, Erdal Şen, Ìnan Ulusoy, and Oscar M. Lovera. 2014. “Identifying the Volcanic Eruption Depicted in a Neolithic Painting at Çatalhöyük, Central Anatolia, Turkey.” PLoS ONE 9, no. 1: e84711. Steward, Harry. 1980. “The Çatal Hüyük Map.” Mapline 19: 1–2. Utrilla, P., C. Mazo, M. C. Sopena, M. Martinez-Bea, and R. Domingo. 2009. “A Palaeolithic Map from 13,660 calBP: Engraved Stone Blocks from the Late Magdalenian in Abauntz Cave (Navarra, Spain).” Journal of Human Evolution 57, no. 2 (2009): 99–111. Wood, Denis. 1992. The Power of Maps. New York: Guilford Press. ———. 1993. “The Fine Line between Mapping and Mapmaking.” Cartographica 30, no. 4: 50–60.